Good Honda repair should be as reliable and economical as the car itself. What keeps a Honda repair affordable is doing the repair before the part fails. When a part fails it can cause even more problems with the car’s suspension and mechanical systems. If you rely on your Odyssey, Crosstour or Pilot to get your family around safely, then you can’t afford to have it off the road. 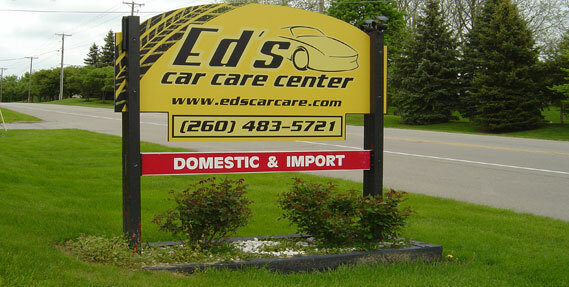 At Ed's Car Care Center, our technicians look for the developing problems as well as perform the Honda repair or maintenance you currently need. It can make the difference between paying to replace a swing arm on your Civic or CR-Z and paying to replace the boot on the end of the swing arm joint. Our business is based on loyalty and customer satisfaction, which means the entire staff at Ed's, is looking out for your best interests. With many of the newer Hondas coming with Hybrid fuel technologies, you need to make sure that the technicians performing your Honda repair are certified and up to date on the repair technology. We use the latest in Honda diagnostic procedures and tools to accurately diagnose your vehicle and perform the service no matter what year or model your car. Our Fort Wayne location is friendly and designed to put you at ease. Our staff can educate you on the best way to maintain your vehicle and avoid costly repairs. Prevention of major repairs by maintenance can save you a lot of money and extend the life of your vehicle. 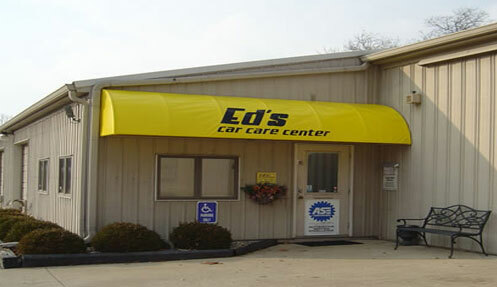 Make your appointment today at Ed's Car Care Center and have our staff start taking care of your Honda.